The Shearing Shed has four generations of stories to tell. 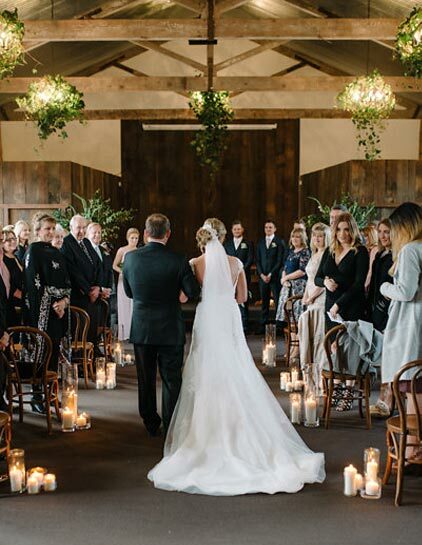 We love that we can continue to add to these stories by inviting you to enjoy The Shearing Shed as well. Weddings are an incredible time to showcase to your family who you are as a couple and your venue creates an underlining theme for an unforgettable event that will be talked about for years to come. Our outstanding service and experienced staff are here to create a flawless event, so that you can sit back and relax with your loved ones. Our team of chefs are here to tempt you with their culinary delights of modern Australian cuisine and present you with local and seasonal produce. Our unique location offers guests a private venue, easily accessible by taxi or private vehicle – only a few kilometres from Cowes. *Please note that inspections of the property are by appointment only. Please call or email in advance to make arrangements.